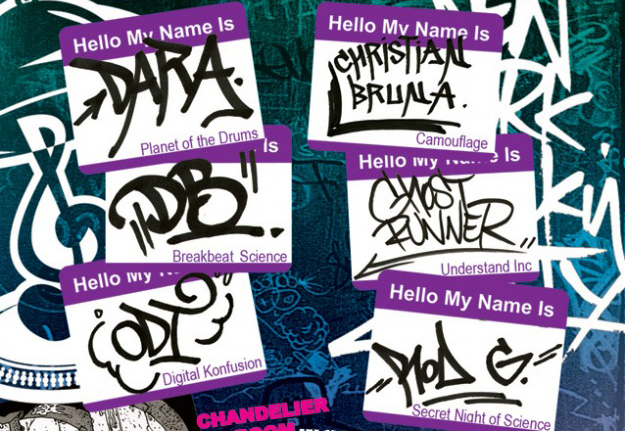 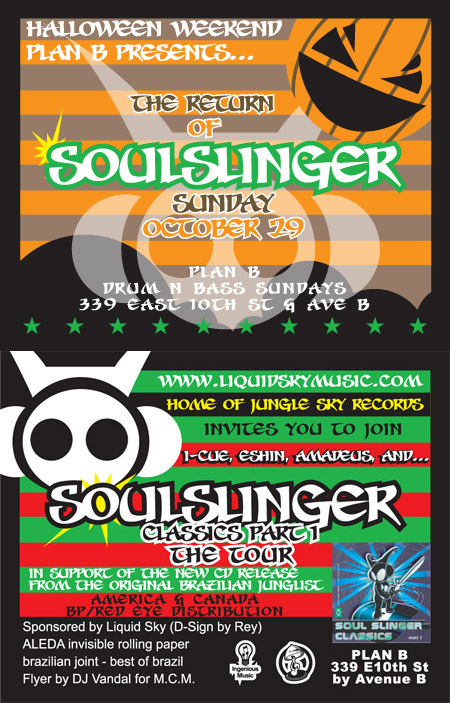 Flyer by DJ VANDAL NYC. 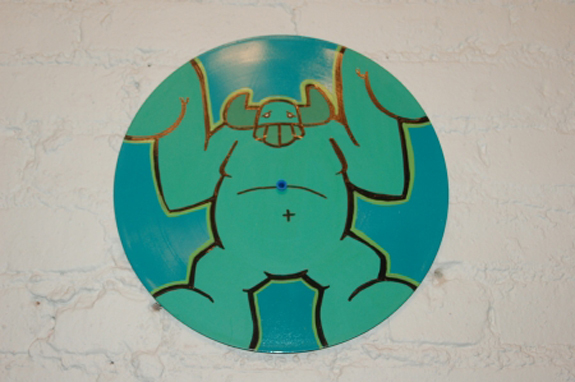 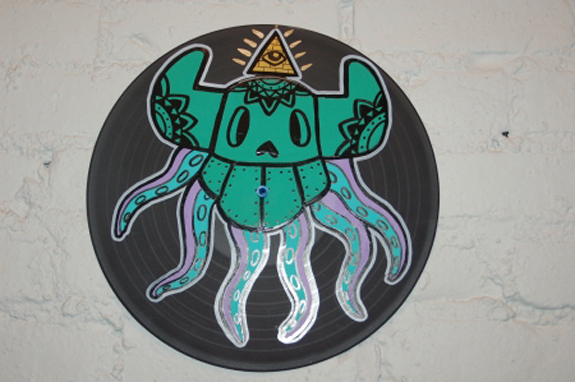 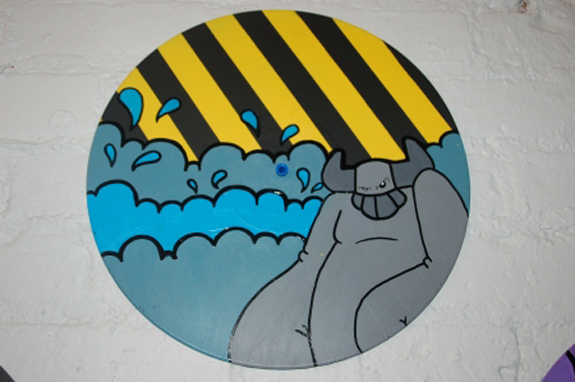 Philly Frost will be exhibiting 12 original work of art painted onto vinyl records. 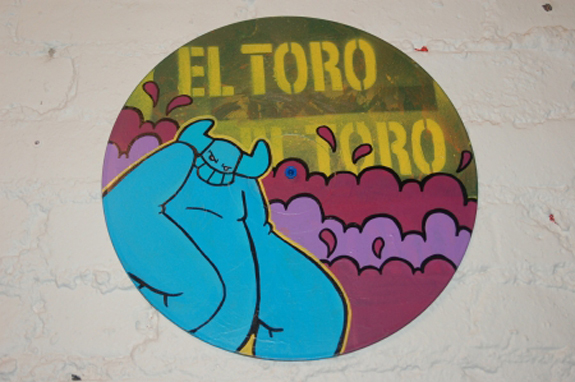 All will be for SALE, as well as the limited edition “El Toro on Summer Vacation” Tee.